Clean CARFAX. Black 2015 Nissan Titan PRO 4X Leather Nav Sunroof!!! 4WD 5-Speed Automatic 5.6L 8-Cylinder SMPI DOHC 2015 Nissan Titan PRO in Black, Bluetooth for Phone and Audio Streaming, CLEAN CARFAX, MOONROOF SUNROOF, NAVIGATION GPS NAV, 4D Crew Cab, 5.6L 8-Cylinder SMPI DOHC, 5-Speed Automatic, 4WD, Black, ABS brakes, Alloy wheels, Compass, Electronic Stability Control, Illuminated entry, In-Cabin Microfilter, Leather-Appointed Seating Surfaces, Low tire pressure warning, Memory Outside Mirrors, Pedals & Driver Seat, NissanConnect w/Navigation, PRO-4X Luxury Package, Remote keyless entry, Traction control. This vehicle has a clean vehicle history report that indicates no accidents or title issues. Recent Arrival! 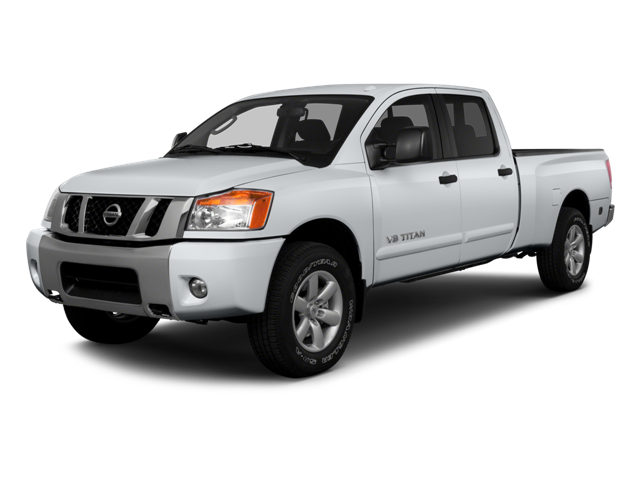 Hello, I would like more information about the 2015 Nissan Titan, stock# 8D1001B. Hello, I would like to see more pictures of the 2015 Nissan Titan, stock# 8D1001B.